Since I can no longer have these desserts after starting this doctor-prescribed gluten-free diet post surgery, I figured the best way to mourn the end of my Indian sweets journey is to blog about all of the ones I’ve tried in the past five weeks, and to shed some insight on the tastiest! Before we begin, a quick note: India is known for its spices and abundant flavoring, which means when it comes to sweets, it doesn’t hold back on the sugar. Everything is overly sweet (black coffee doesn’t exist here, think your average brew with a cream and 5 sugars), which of course means that the “sweets” truly live up to the name. Kulfis: know as the “traditional Indian ice cream.” At the Bombay Kulfis near our workplace there were at least 30 different flavors. I’ve tried the malai kulfi, a type of cream, and the pista (pistachio) kulfi and I would highly recommend both! Think American fudgescicle but creamier and better. 2. Khasta Gujiya: a type of dumpling-shaped pastry that is crispy and flaky on the outside with a sweet filling on the inside and glazed with syrup. The inside filling is made from dry coconut, nuts, mawa, cardamom powder and powdered sugar. It is a classic Indian sweet that is a tradition to eat on Holi. If you know me you know I LOVE any type of doughy pastry and even though I bought this at a supermarket (Spar) it was still delicious! 3. I also bought a Mysore pak from Spar, which someone told me was a must-try dessert only after we returned from our trip to Mysore. This dessert is doughy, cake-like, heavy, crumbly, and buttery (or should I say ghee-y?). It is made out of just sugar, water, chickpea flour, and ghee, and is usually prepare for Diwali. Definitely better than the normal paks! 4. Gulab Jaman: a very very sweet dough ball made from milk solids and SOAKED in syrup (you should definitely dab it a few times to get some of the syrup off before you eat it). This was unique though because it was a gulab jaman thick shake from the Thickshake Factory (this chain milkshake place is everywhere in India. Who knew thick shakes were so popular here?) It’s an Indian twist on a western dessert! 5. Meetha Paan: a dessert made of betel leaves filled with a range of sweet jam-like spreads and crunchy titbits like tutti-frutti, cherries, and chopped dates. The leaf itself is quite bitter, but the filling makes the dessert quite sweet. Paan is known as a mouth refreshened and you can find it sold by vendors outside of most restaurants and even inside too. According to my co-intern Siddharth, betel leaves are something you either love or hate. I’m not sure I love it or hate it. I think I would describe it as interesting? But it is a little too sweet for me. 6. Burfis and Paks and Milk Cakes: Burfis or barfis is a dense, milk-based cake-like sweet and comes in various flavors like cashew or coconut or chocolate. Different variations have varying denseness and sweetness. To be honest, all of them started to blend together for me so I don’t quite remember which I liked best, but if you’re a fan of milky, denser cakes, why not try them all and decide for yourself? Oh so many burfis to choose from! 7. Kesar Kaju Katli: See the silvery rectangle in the bottom left corner of the box Steph is holding? That’s this super soft, chewy dessert made from saffron, cashews, milk, and sugar. The consistency is like a fudge but without the thickness and denseness that makes American fudges sickeningly sweet after a few bites. It’s a must-try! 8. Badam Milk: a sweet milky drink flavored with ground almonds, cardamon powder and saffron that is served hot from a big metal pot. You can also find it sold cold in bottles at grocery stores. It’s a little too sweet for my tastes, but the spices taste amazing! 9. Laddus: Saved one of the best for last! There’s so many variations of laddus, but I’m only featuring two here. Maybe this holds a special place in my heart because it was the first sweet that I bought in India. I bought the besan laddus on the left while Piotr bought the rose laddus on the right. The besan laddu is a crumbly, dense, flour-based, pistachio-flavored dessert that melts right in your mouth. It’s a sweet ball made out of chickpea flour, sugar, ghee and nuts. The rose laddu on the other hand is lighter, much more chewy and with a sticky filling inside. So there you have it! If you’ve tried any of these before, let me know your favorites, or if you have any recommendations, be sure to let me know as I’ll definitely be stuffing myself full of more sweets once I’m recovered and before heading back to America. 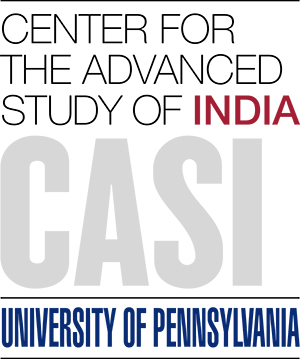 Rising sophomore at the University of Pennsylvania, majoring in International Relations, interning at Shahi Exports in Bangalore summer 2018.